Originally an M van, reclassified to ABAA after Sept 1979. 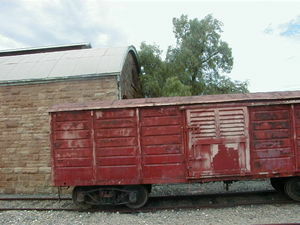 At least three different door designs exist and the roof was either plain steel or corrugated iron after repair. Other conversions existed as follows, MRP – Ride control bogies, MG – Galvanized roof.